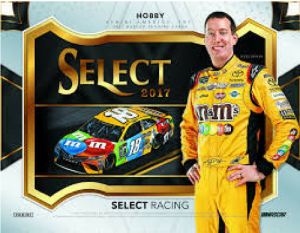 2017 Panini Select NASCAR - Checklist Added	Overall rating:	0	out of 5 based on 0	reviews. 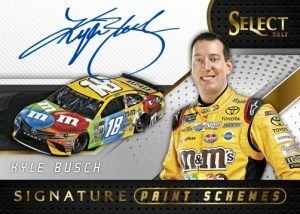 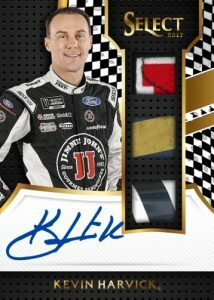 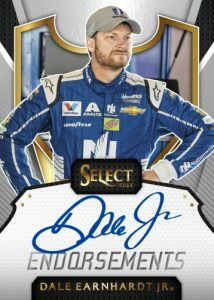 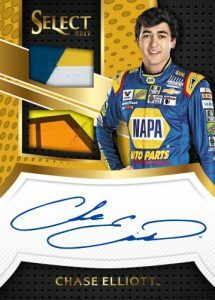 2017 Panini Select NASCAR is a popular mid-range product that offers fans 2 autographs and 3 memorabilia cards per box. 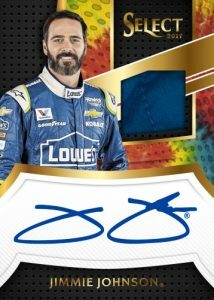 The product offers up names such as Earnhardt Jr, Jimmie Johnson, and Danica Patrick, some of the brightest stars in NASCAR. 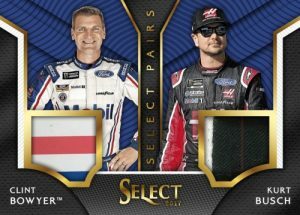 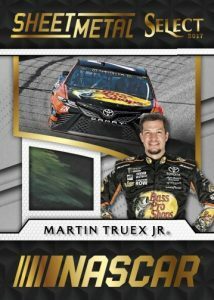 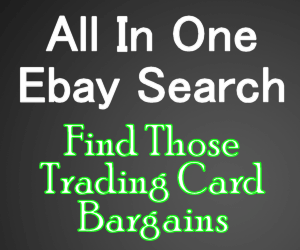 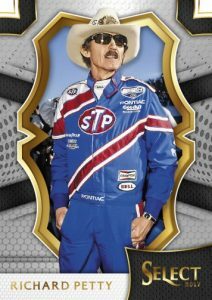 Since taking over the NASCAR licensing, Panini has revolutionized the sport’s card collecting market and Select is a great example of the progress the last couple of years has shown.